Herbold Meckesheim is a family company that was started in 1884 and had branded themselves as recycling specialists for the plastics industry. 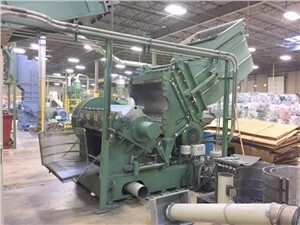 They manufacture waste treatment systems for both mixed and contaminated plastics, pulverizers, granulators, agglomerators, shredders, hammer mills, and ancillary equipment. The most common granulator we see in the US is the SMS heavy duty granulator.